Starting a mobile app centered business is tough. There are so many questions and doubts that you, in your role as an entrepreneur, has to answer and find answers to. Although things do get a lot easier once you get the support of a partner-like sound mobile app development company, there are a number of factors that you still have to get a grasp on your end for android vs ios. 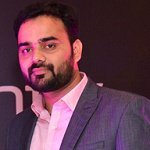 While we have curated a mobile app development for startups guide to help you get started with the complete A to Z process of getting your idea on mobile, in this article, we will help you get an answer to the question that worries every entrepreneur who is new to the app industry – android vs ios for startups. But before we get on to that, let us remind you why going mobile by joining either Android development or iOS development. Let’s start looking at the smartphone (iPhone or Android) and app market scenario by first looking into the basics of each – number of users, downloads, revenue, and user retention scenario. Graphs indicating each of the pointers will help give a clear idea of how both the app stores are performing on an individual level – something which will help businesses take a sound decision. These numbers are a clear indication of how big the smartphone industry has been and how it is only going to grow both android and ios in demand and acquisition number in the coming time. 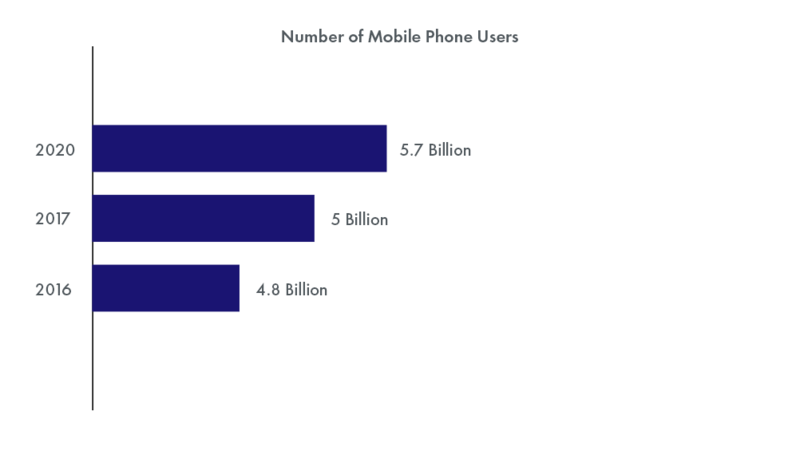 With the number of projected mobile users about to reach 5.7 Billions in a matter of two years, it is beyond time for startups to make a decision related to iOS versus Android and a presence on mobile and reach these billions and then some more users. The market share division factor when making a choice of iOS vs Android for startup, is calculated in terms of total number of users on both the platforms. 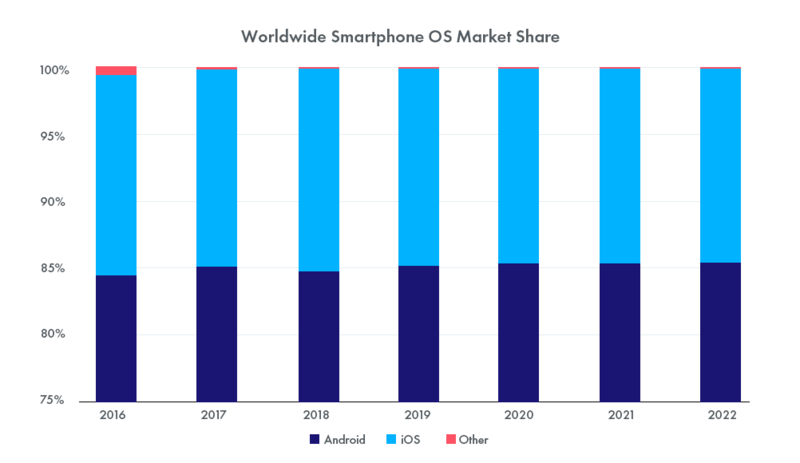 While the graph above shows the obvious – Android development has a greater market share than iOS development, let us still throw some light on it. With number of Android devices being 10X more than Apple flagship devices, the number of users are by default inclined towards Android as compared to iOS app development. This difference in market share makes Android a preferable choice for Startups that are keeping visibility above any other business-y factor. One of the biggest deciding factor when it comes to Android vs iOS for businesses is the revenue that each of the avenues are able to generate for the startup. As an startup that is about to make an entry in the mobile domain for the first time, it is almost a necessity to base the platform choice on the basis of the potential of revenue they would be able to generate. While iOS has over time positioned itself as the platform that businesses head to generate revenue, Android developers are soon catching up with their monetized app. But overall, Play Store will still take up more time to come up to App Store level. For an entrepreneur struggling to find answer to iOS vs Android for startup as yours, it is very important to maintain a good user retention number as it will be the only sign to judge whether or not your app is performing good and is liked by the million of users across world. There are a number of factors which contribute to soaring app uninstall rate. Reasons which mostly revolve around the kind of experience you are able to offer through your mobile app. 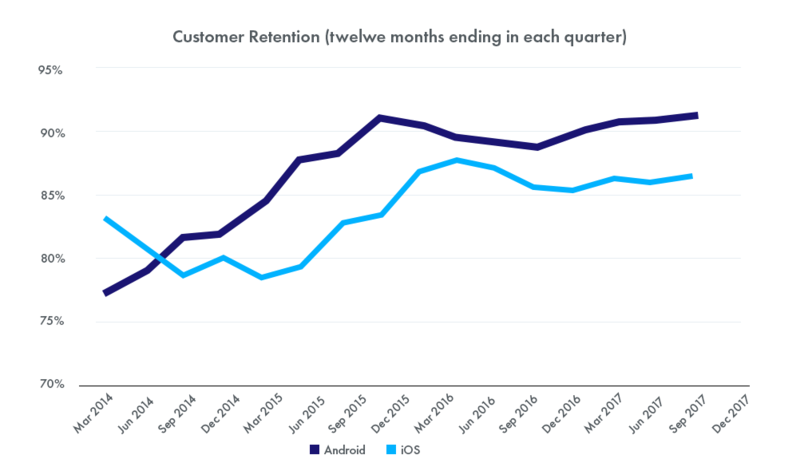 But in spite of what reasons there are behind growing app uninstall rates in the industry, the fact that users behave differently between one platform to another remains. While Android users are more loyal, Apple users are less forgiving and tend to leave app very soon after a bad experience – something startups need to plan in their app design and development strategy in much detail. 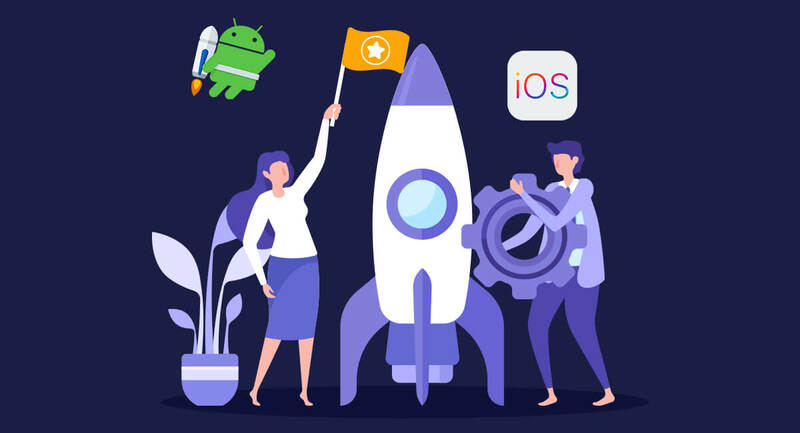 Now that we have looked into the market scenario of both the platforms, it is time to attend to the question that every startup willing to make a presence on mobile is seeking answer to – Android vs iOS development for startups. The answer to which platform should startups choose out of Android and iOS is in no way a Yes or No type (and yet, the wrong answer can turn out to be one of most deadly mobile app development mistake). There are a number of factors that startups will have to consider when making the choice. Let us see what those factors are which help decide the platform startups should go with for their first mobile app launch – iPhone or Android. Even though 80% of the world’s mobile app market is dominated by Android, some of the most presumed revenue generating nations like the USA or Australia come under Apple’s dominance. So if your audience belongs to the western nations, take help from iPhone app developers but if the world is your audience, go with Android developers. The choice of app platform goes beyond geographical borders. There are a number of traits that separates Android demographics vs iOS demographics. iOS users usually have a lot higher income, come with greater education levels, are more engaged with the app, and lastly are willing to spend a lot more in app. Android users on the other hand, come with their own share of characteristic traits. They usually belong to the 25 to 45 age range, are more spending conscious, tend to be late technology adopters, and in general are more impatient as compared to Apple users (something that has changed in the recent time). If your app’s business model has in-app purchase at the center, it would be preferable to go with App Store instead of Android Play Store. While the average per user in-app purchase per app in case of Apple is $1.08, in case of the same number gets reduced to $0.43. Talking of in-app purchases, the difference can be seen on a geographical level as well. 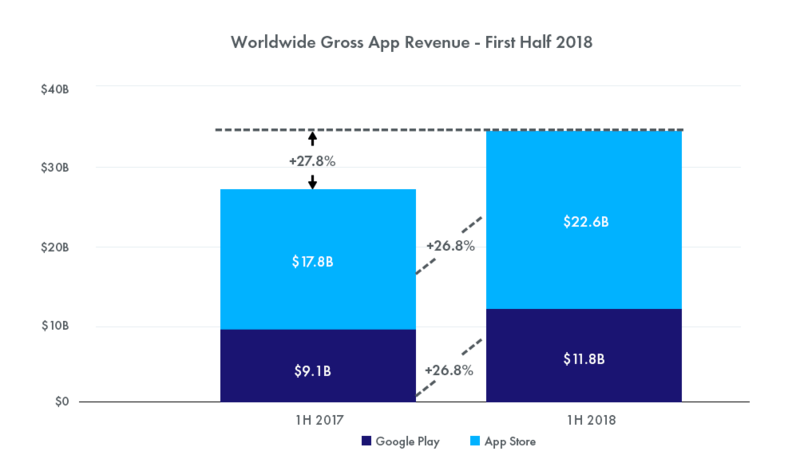 On a global level per user app spending is $0.50, in Asia the number is $0.70 and in North America, Europe, and Latin America, the numbers are $0.61, $0.26, and $0.16 respectively. Talking of fragmentation in terms of variety of devices your app would be able to reach, the one platform that emerges as an unprecedented winner is Android. Because Google has partnered with a number of device manufacturers, there are now thousands of devices under Android umbrella as opposed to Apple. If you are looking for a platform that would help your startup become a household name by taking it to the masses minus any specific demographic challenge, Android app development will be your answer. But if making a presence among an elite concentrated group of users is what you are aiming for, go with your team of iOS developers. The which is the preferred choice for startups – Android vs iOS – answer is different on both Android and iOS front. While in terms of designing, Google Material Design has a greater impact on user experience, mobile app developers feel that when it comes to coding mobile apps, Swift is a much easier language to get started with as compared to Java. However, design and development is one factor that depends less on the platform and more on the skill of your partnered mobile app development company. When you associate with a brand that specialize in the development of both Apple and Android apps, it doesn’t matter which platform requires less developmental efforts as both are done within equal efforts. Talking of Android release cycle vs iOS Release cycle, the updation of apps in case of Android is generally restricted with the partnered OEM devices and the OS versions that they support- an issue that Apple and its concentrated list of iPhones and iPads never have to face. What this means is that while with iOS you can focus on giving the support of new OS version in your present app with much ease, the level of fragmentation that Android comes with makes releasing new OS versions very difficult. Now that we have seen the factors that would help decide which platform to go with for your first mobile app, the sad truth remains – There is no yes or no answer to which platform should startups go with between Android and iOS. But while it will be difficult for us to get you an answer to ‘Android vs iOS: Which platform should Startups Choose’ let us get you the answer to the Whens. You should place your startup’s first mobile app on iOS by investing in a sound iPhone app development company if you wish to come in the sight of the app store’s target demographics. Also, if you are not convinced on app’s ability to be liked and moved to the homescreen, the less fragmented world of Apple might come in handy as you won’t have to invest time in preparing your app for multiple devices. The benefit of concentration and high revenue generating capability together makes iPhone app development advantageous for businesses. You should go with Android first if your audience is not concentrated on any one specific location. Also, if there are a good number of customization elements in your mobile app, go with Android. The benefit of reach and customization that the platform offers, makes it almost necessary for Businesses to have an Android app. You have to remember that in the debate between Android vs iPhone: Which Platform should Startups choose for First Mobile App have a third option as well, one which ends the confusion between iPhone or Android – Launch app on both Android and iOS. While the option should be chosen as a solution by companies who have enough monetary and time resources, you should invest in mobile app development companies that specialize in Cross Platform app development to grab the opportunity to enjoy the best of all. Now that we have seen it all – The factors that affect the Android vs iPhone choice for startups and the situations when one is deemed preferable than the other – it is now time to answer a very futuristic, logical question – When should a Business Move from one Platform to Another. The answer to this lies in – When your app has taken all the advantage of the current platform it is on. If your app has reached a position where it is now getting constant revenue from App Store, expand it to Play Store to get greater reach. If your Android App has gained enough followers on the Play Store, increase the scope of monetization by taking it to the App Store. Hopefully, our little pocket guide was able to help you get an answer to which platform your early-stage startup should choose. If we have left a scope of confusion, reach out to our team of mobile app strategists to get the answer.